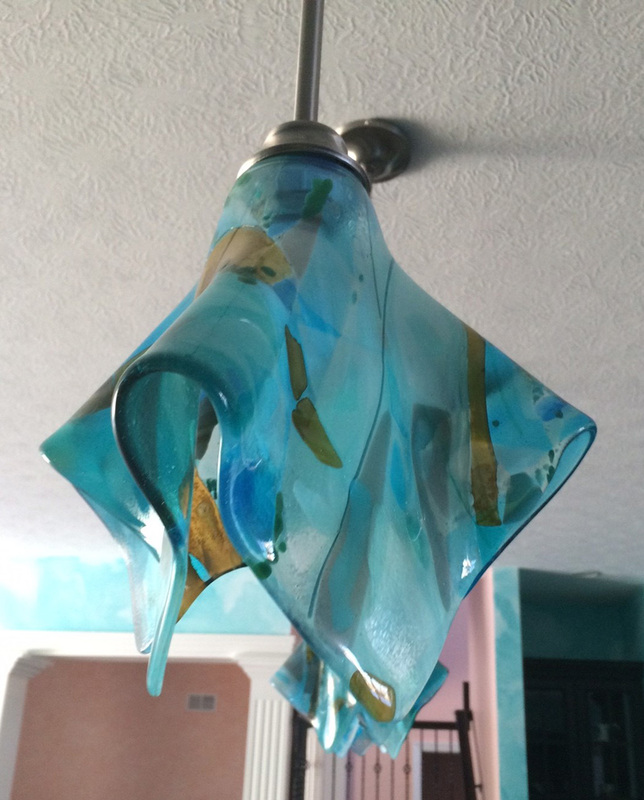 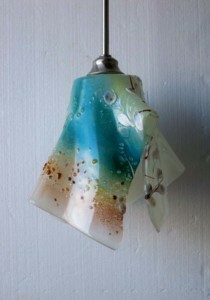 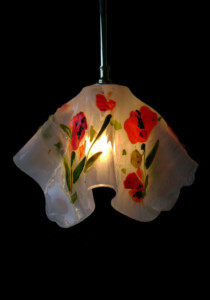 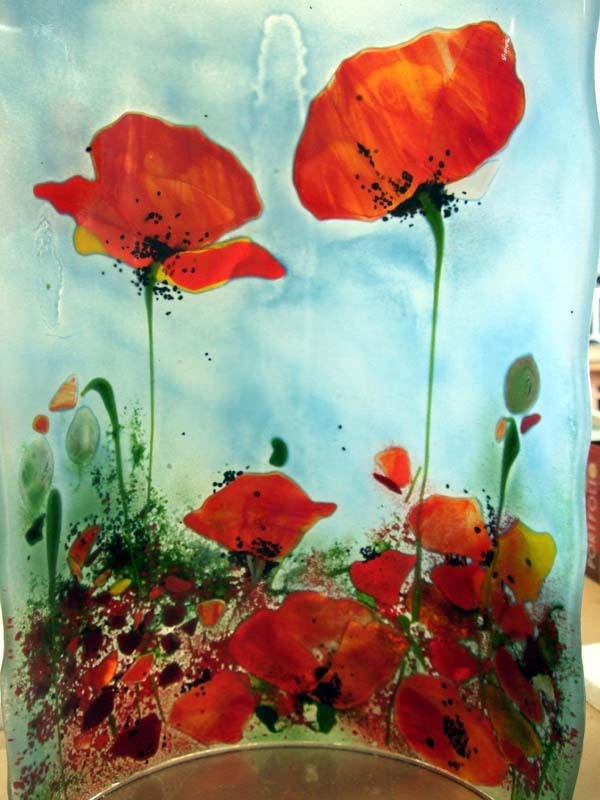 CUSTOM, hand-crafted fused glass PENDANT LIGHTS and SCONCES. 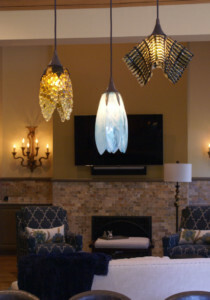 GLASS PENDANT LIGHTS and SCONCES, GLASS CHANDELIERS and backlit murals and bar fronts are another of our specialties as we combine artistry and glass fusing craftsmanship. 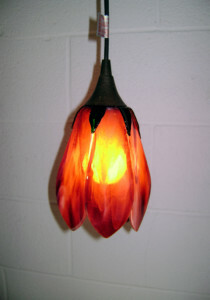 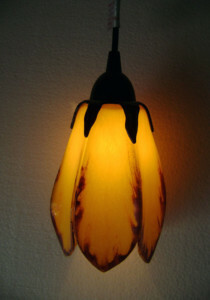 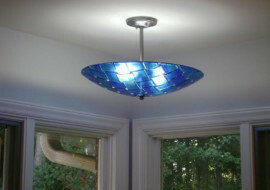 Some of our more unique styles are the fused glass tulip shaped pendant lights, grape motif pendant lights and our woven glass pendant lights. 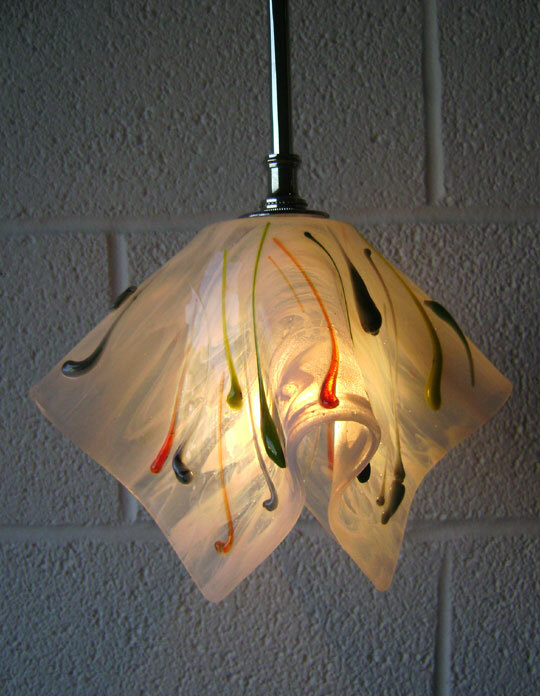 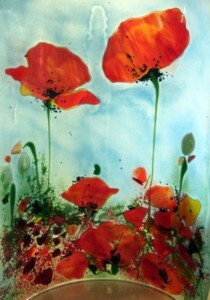 Glass loves light and the two work together beautifully! 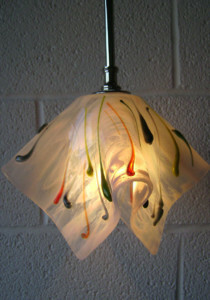 Whether applied to a wall sconce, table votive or illuminated bar area, glass can transform and glow to warm up a space. Backlit panels for homes make impressive focal points as well. 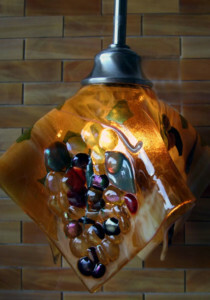 Stained glass is available in a variety of colors to match any decor. 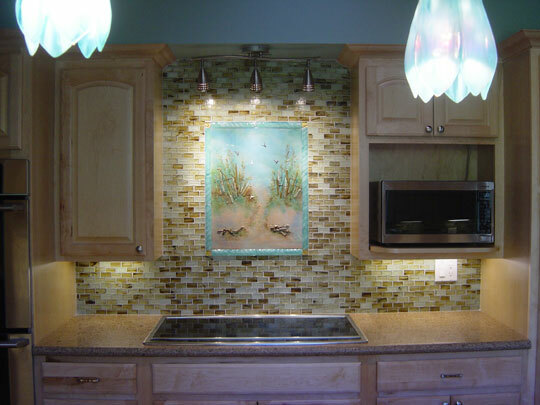 Let us mosaic a lighting accent for you! 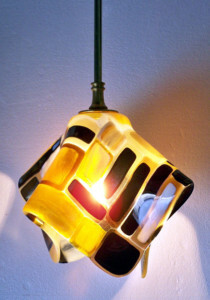 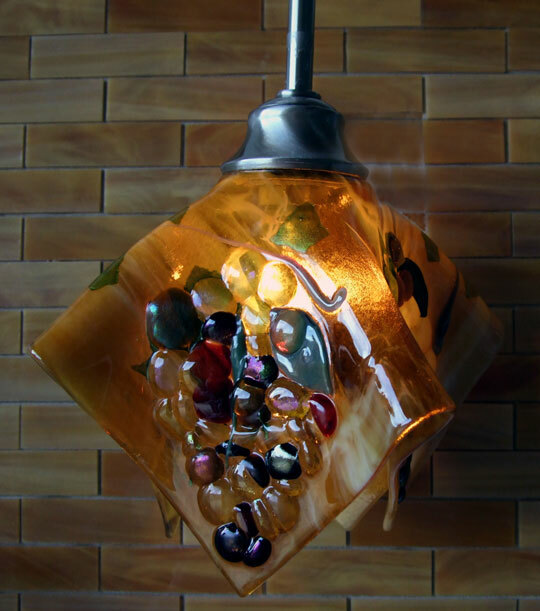 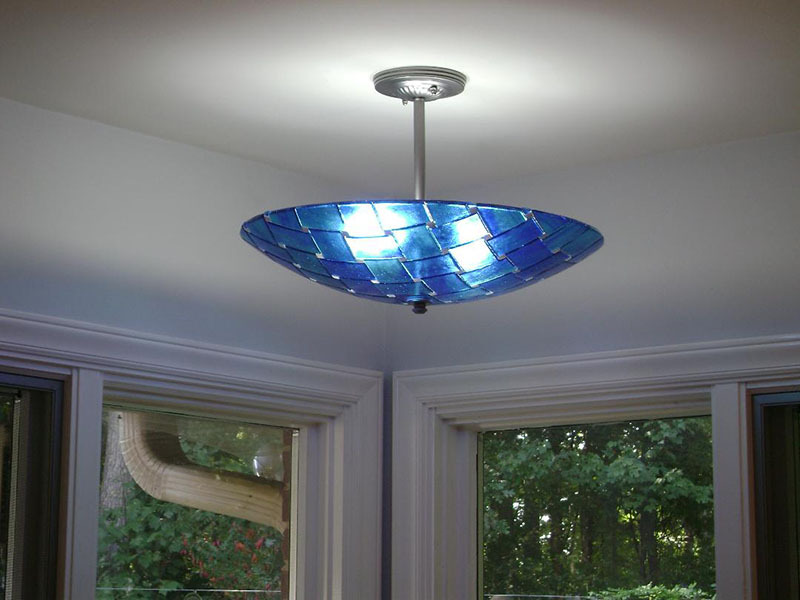 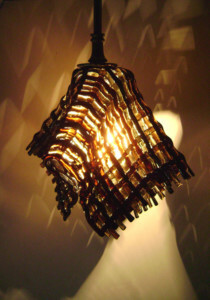 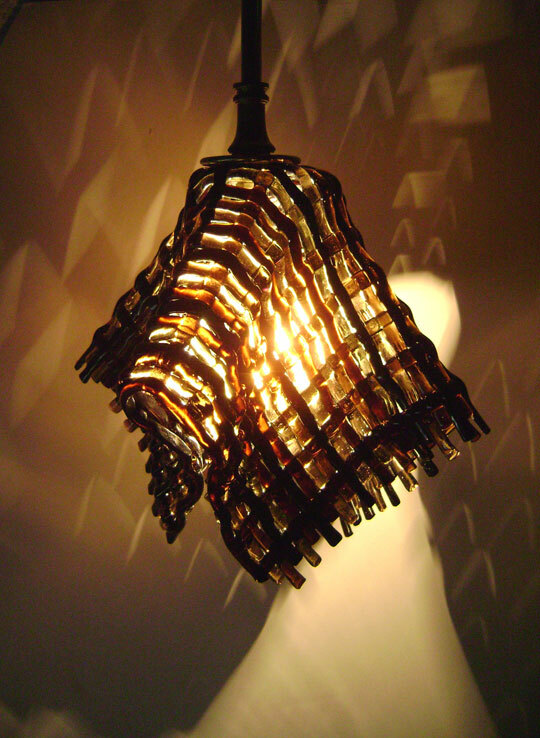 Designer Glass Mosaics sells an expanding variety of custom lighting fixtures. 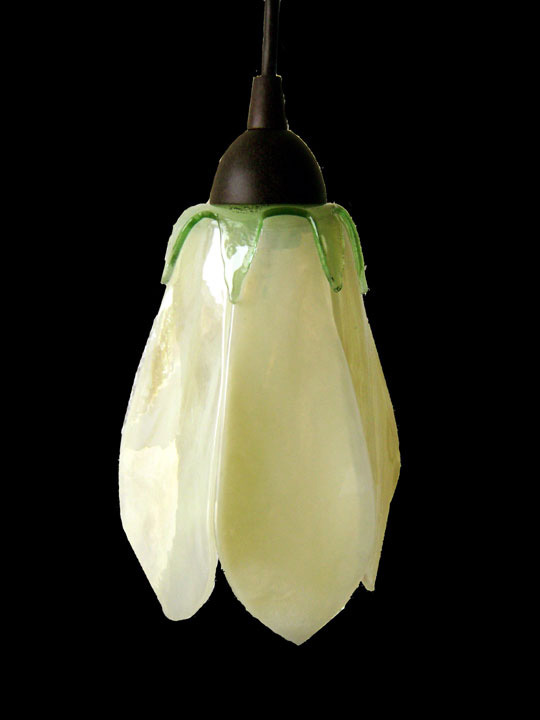 These glass lighting fixtures can be made to match coordinating pieces purchased from DGM or you can purchase individual pieces. 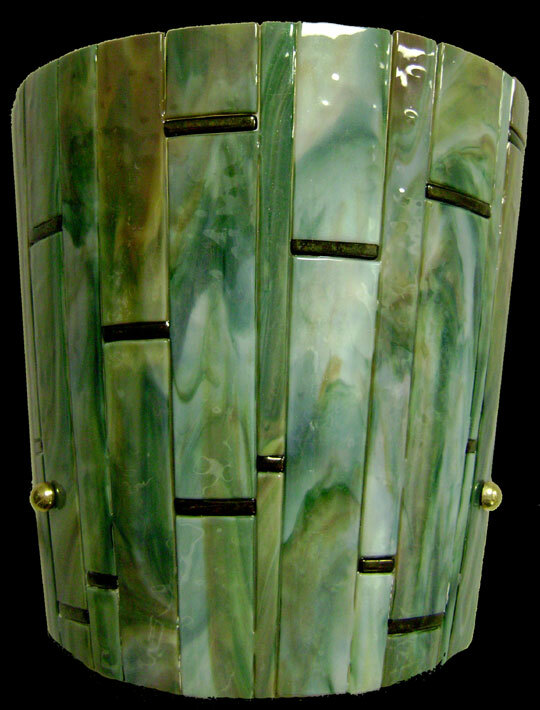 Each glass wall sconce or mosaic light fixture is custom made to your color and size specifications. 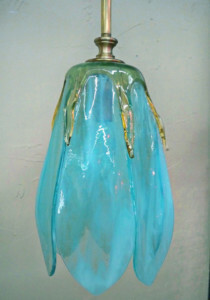 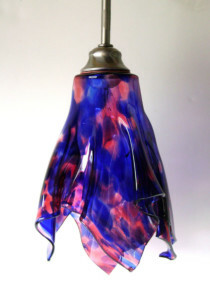 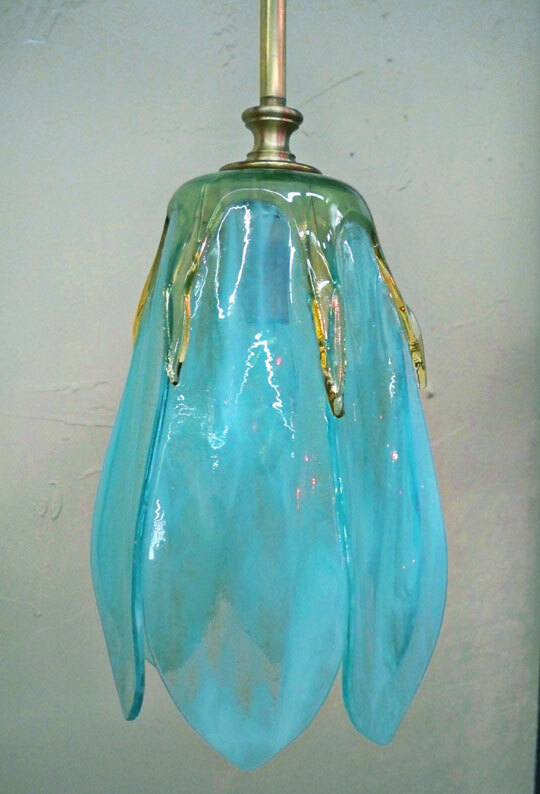 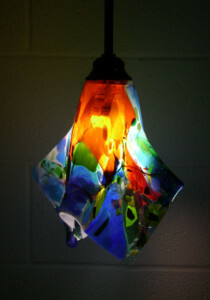 Colored glass used on a sconce or lamp shade can change the whole mood of a room. 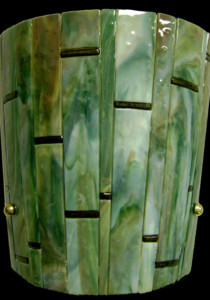 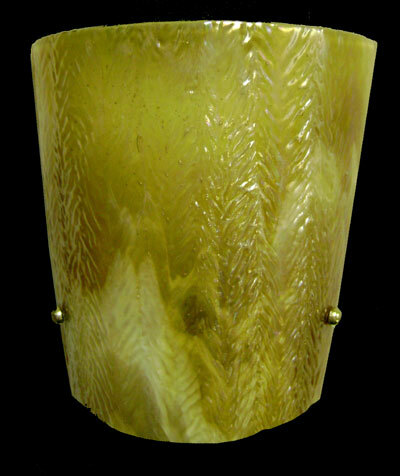 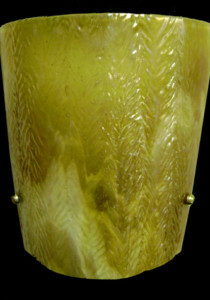 We can create a sconce for you by layering glass, positioning glass in a pattern or applying a custom design. 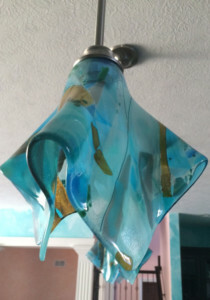 Transform a plain piece of glass with a layer of iridized or texture to give it a completely different look and create an amazing glass wall sconce. 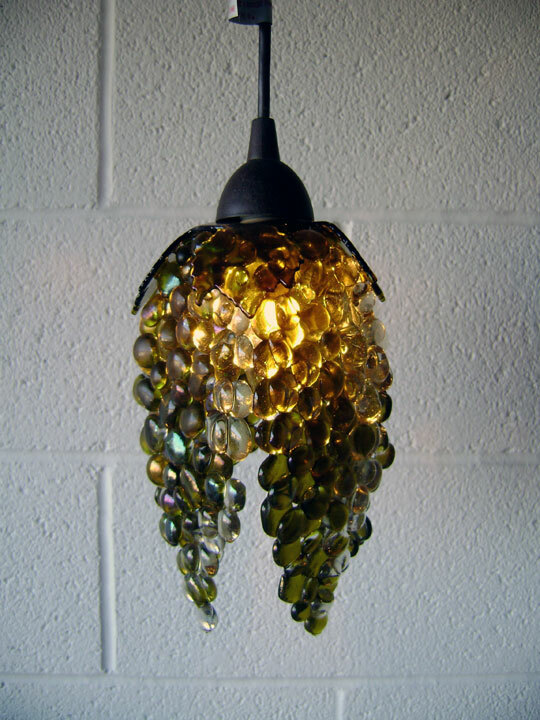 With glass lighting you aren’t limited to a sconce or shade. 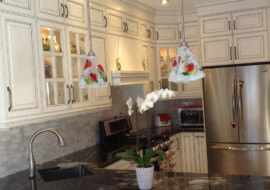 We have had clients create backsplashes that incorporate lighting. 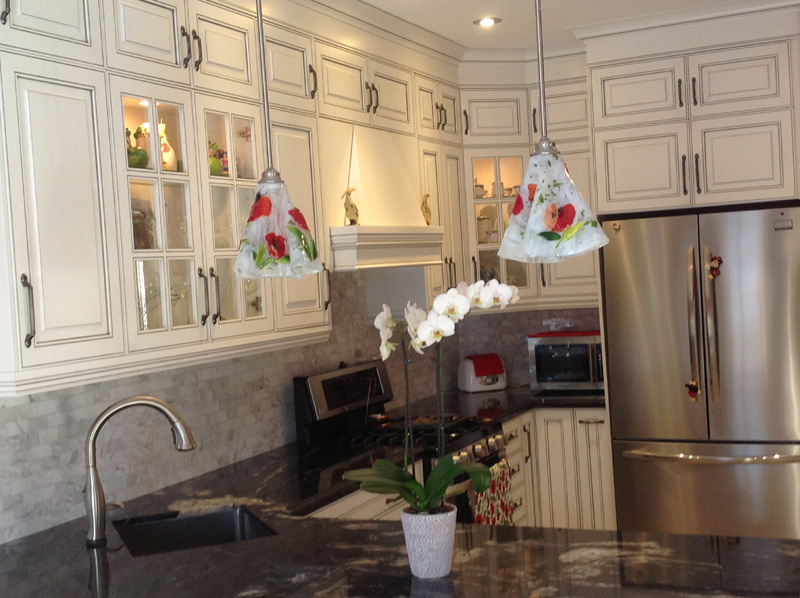 The scene changes dramatically with the light on or off and these panels make a great alternative to a traditional lighting fixture. Please take a minute to scroll through the unique lighting products we offer. 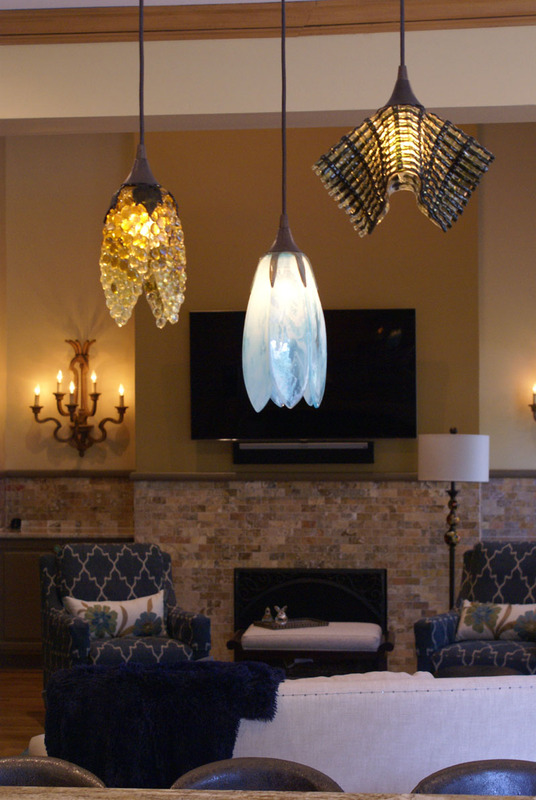 Each fused or mosaic glass pendant light, sconce and chandelier are hand-crafted at our design center. Our woven glass pendants lights, “tulip” shaped pendant lights and grape motif pendant lights and sconces are truly unique. 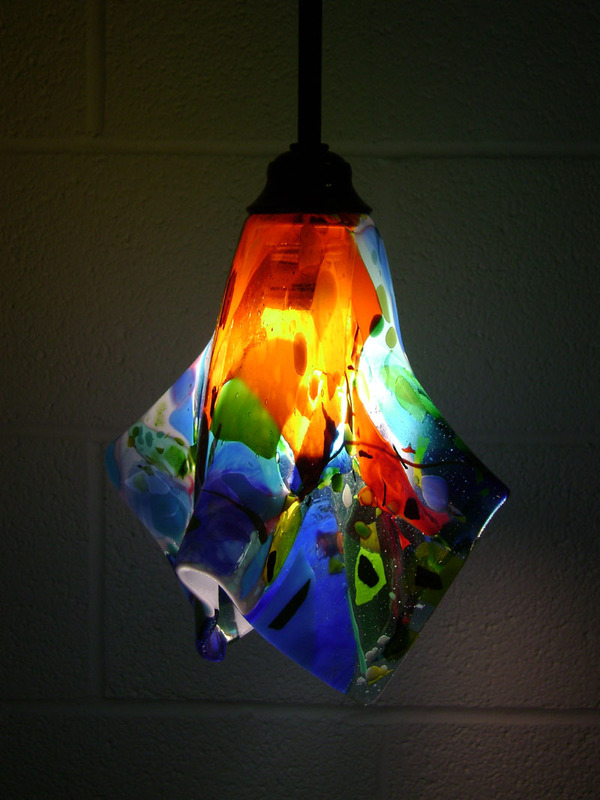 Let us make something special for you in your color palette.